My place of solace is the ocean. It's where I've had some of my best memories and it's where I've run to for comfort. Bonfires with friends, surf trips with my dad, midnight talks with siblings, solo trips to escape it all. Finding a part of home when I'm 3,000 miles away can be difficult and lonely, but the one constant companion are the waves. Whether it's the Pacific or Atlantic, I always feel like I'm home as long as the ocean is there. In creating this piece, I hope to bring a little piece of my home with me, a little piece of relief. Growth is compiled of discarded books from Jenks dipped in ink, and watercolor, then fashioned together with Elmer's glue. I chose to use devalued materials because through them, I see Christ in conversation with us. He has taken these imperfect, and incomplete beings and created astounding people. My time at Gordon has been one of immense development. When I reflect on the things I have learned and processed, I think a strong theme Christ has shown is one of redemption. My pieces this semester, have been an ongoing reflection on how materials that are discarded can be reformed and molded bringing to light their unique and intricate qualities. Hopefully, with this piece you take reassurance in knowing Christ will do great things with each of us because of the beauty within us all. This piece is an exploration of inheritance and heredity through the medium of quilting. My father's mother, who is an accomplished quilter, taught me to sew when I was very small, and that shared skill has prompted me to think about the ways that knowledge, interests, and traits are passed down through generations. 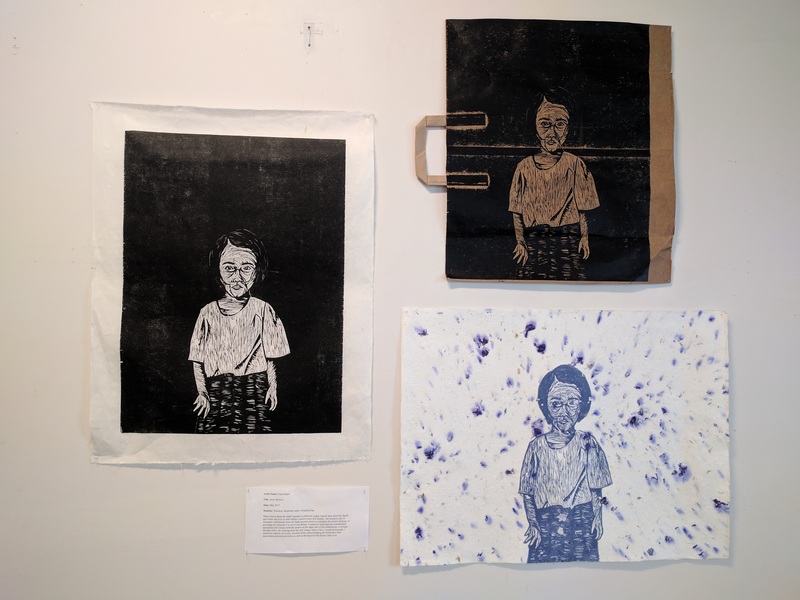 My materials were collected from the home of my mother's mother, who lived in Afghanistan, Iran, and Thailand when my mother was a child and who accumulated handmade woven, dyed, and embroidered textiles from her homes from surrounding countries. 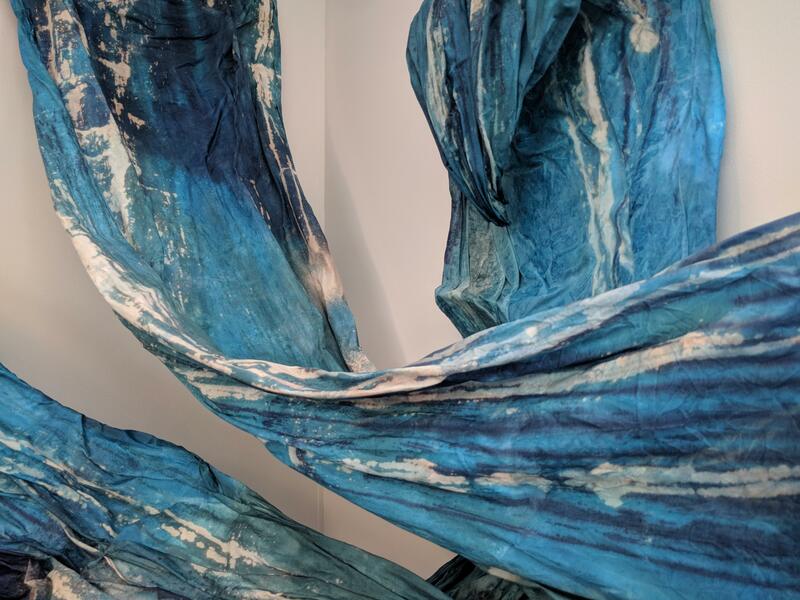 The use of these textiles in the piece, as well as its quilted construction, has allowed me to consider my own eclectic heritage, as well as the opportunity to meditate on the connection that I share with the people who originally created my materials. Through this piece I was able to process recent life experiences in the form of making. 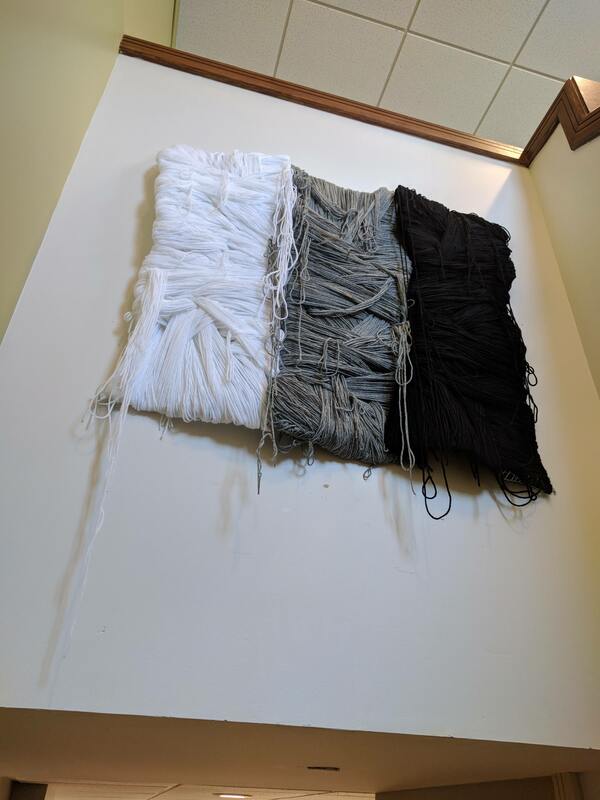 The light and dark yarn as well as the method of wrapping reflects on the different phases of life, each with their own distinctions. 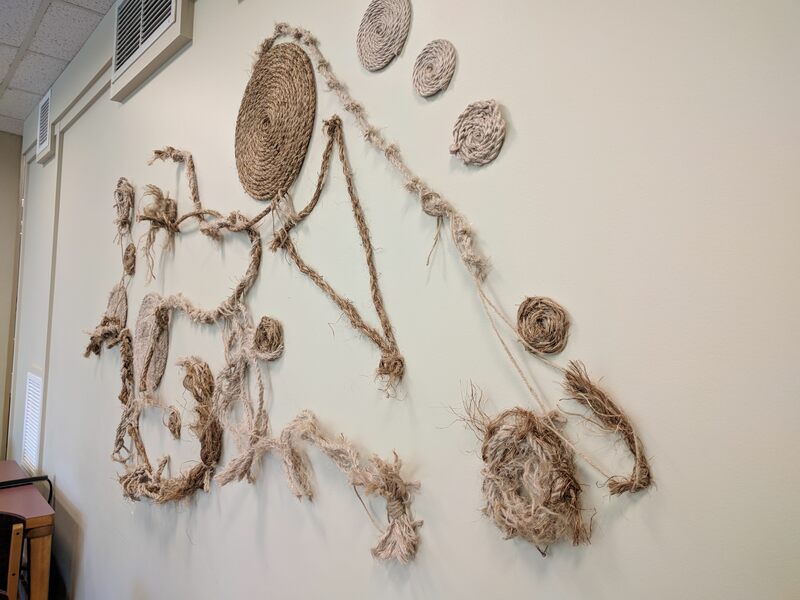 The interwoven and intertwined yarn brings a sense of security while the loose hanging pieces connote confusion and anxiety. The use of these materials and the art making process allowed me to reflect on this highs and lows of life. Serenity Relief stems from my love of textural three-dimensional tile work. Throughout this course I loved taking the same module and multiplying it to create a work that may seem simple but the more you look at it the more complex it becomes. Similarly, this piece only started from just a 4" x 4" square of Yupo paper with some simple folds yet when placed together, multiple patterns are made in multiple dimension. From one point of view things may seem simple but as you look more closely you may develop a deeper connection with the piece. After creating this and reflecting back on its entirety, I developed a feeling of peaceful serenity. In the library, a place where many may be stressed with work, I hope this piece can bring tranquility and rest for the weary. This piece was created with a prominent theme of freedom and movement. It is also geared very much toward the overall idea of connection; the way that we as human beings go about our own lives, yet the flow of everyday life is nonexistent without our personal relationships with other people. These connections we have with others bring clarity and meaning to what would otherwise seem bland and unimportant. Each tie we make in each area of our lives is significant to our whole person. 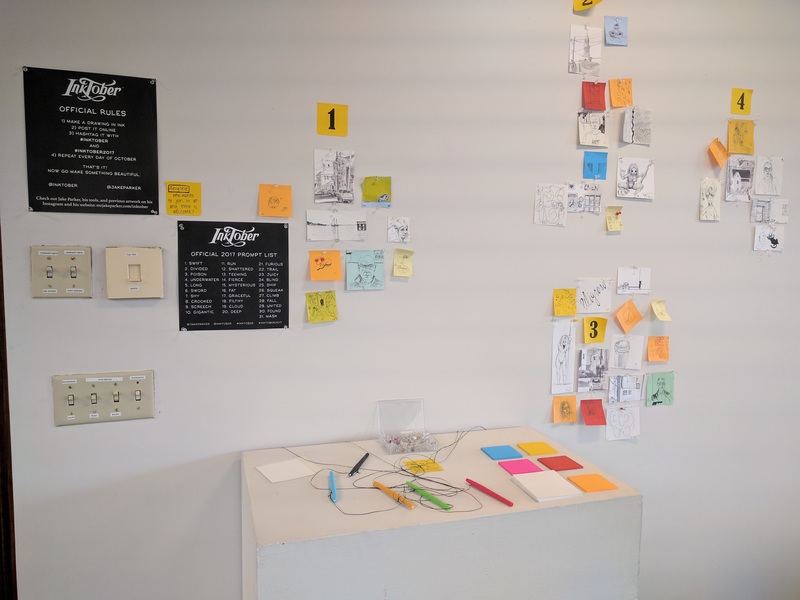 These drawings are an exploration of place, memory, location, and space -- whether that sense is embodied in a person, a room, or a larger area. 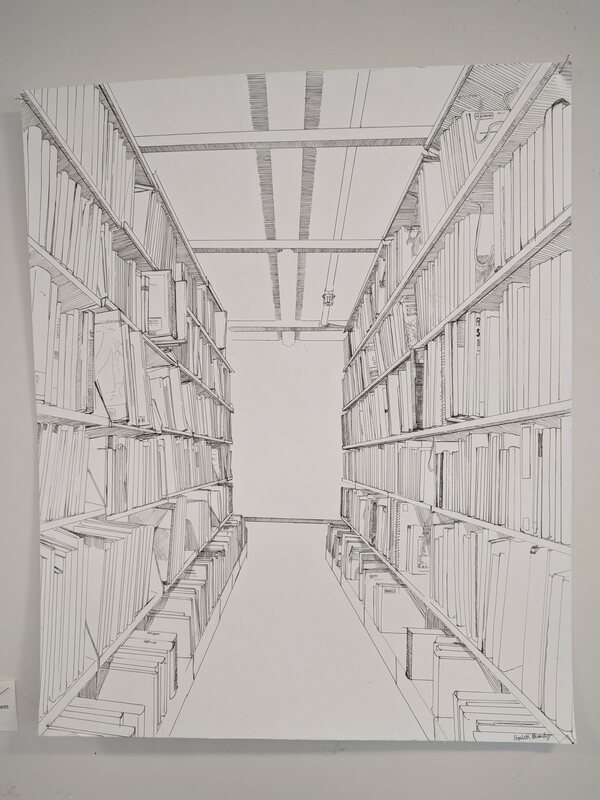 The artists were asked to create drawings as reflections on a sense of place, which resulted in this collection of meditative and observant images. In a culture that is saturated with portraits of individuals it's hard to reconcile creating more portraits that are unlikely to stand out amongst the images we are expose to daily. And yet, I keep coming back to the human figure, drawing and painting faces with strong light sources. I am captivated by the drama of light. Light both reveals and hides, as the most intense light creates the darkest shadows, obscuring the individual and yet leaving us with their presence and emotion. In the midst of transitioning to life in college, though I am in school very close to home, the mindset already begins to change drastically. The moments I have found myself holding onto in these first few months have been comforting thoughts of people and places (both near and far) that bring me a sense of comfort and peace. These drawings are of familiar places that are unique in the place they take my mind and heart, not just my physical self. 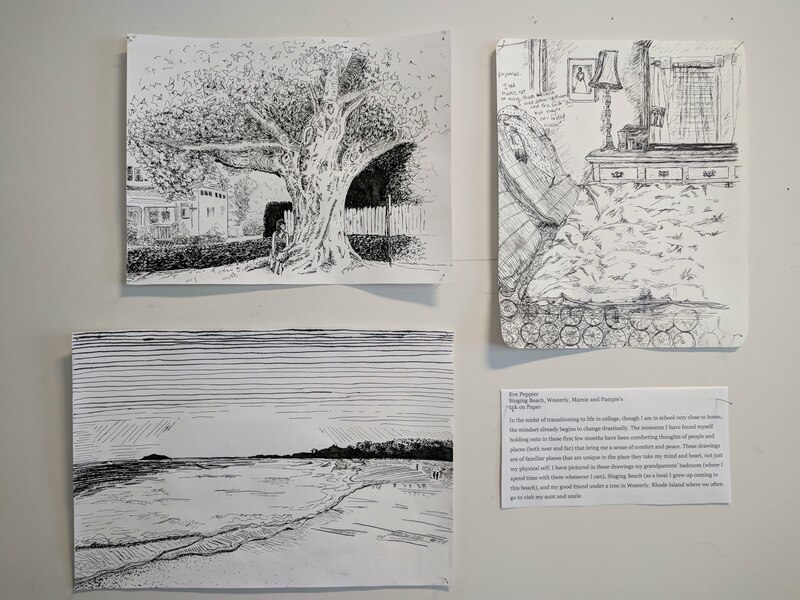 I have pictured in these drawings my grandparents' bedroom (where I spend time with them whenever I can), Singing Beach (as a local I grew up coming to this beach), and my good friend under a tree in Westerly, Rhode Island where we often go to visit my aunt and uncle. My Bubba, Gene Andres, recently passed away this summer, and during that time, I began noticing the landscape. Arizona, Tempe particularly, always had a strong sense of home for me, but that feeling changed now that he was gone, and with it, the realization that so much of the place had memories and emotions rooted deeply in them. Small things like the lava rock in the front yard or the hummingbird feeder in the back, large things like Hole-in-the-Rock and the Phoenix Zoo were all very connected to my grandfather. 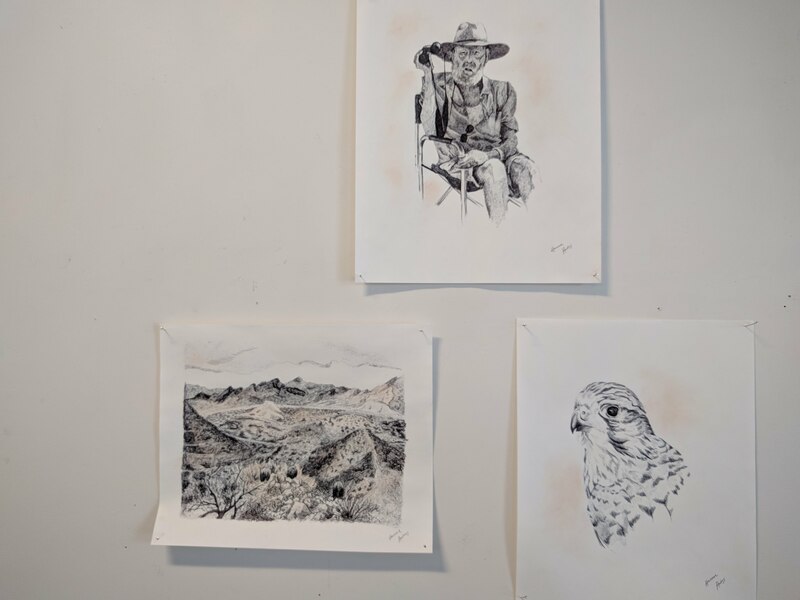 But even though the landscape has changed for me, Bubba is still there, between the palo verde and the red rocks, between the soaring kestrel and the ridge of Camelback mountain. Where he once was an embodiment of the land, the land is now an embodiment of him, and I am glad I am not alone in remembering him. I love the idea of a laundromat. 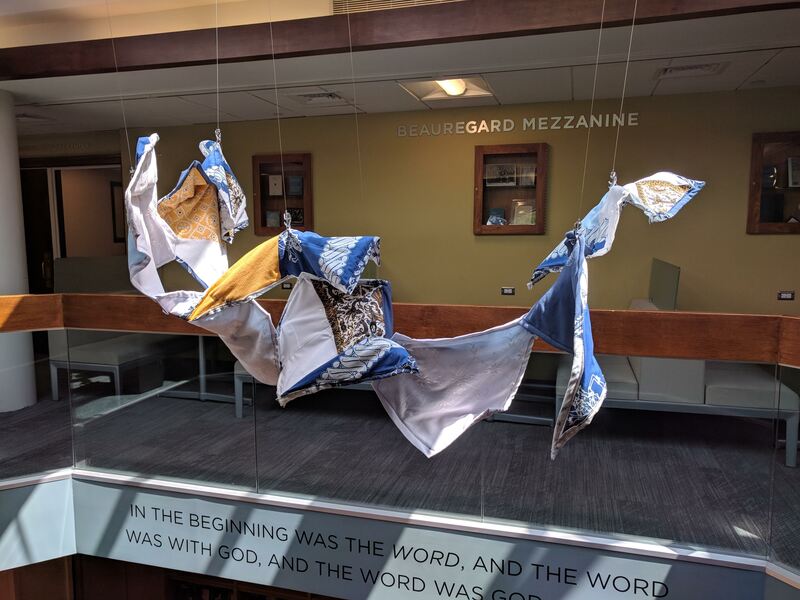 It is a place where the personal plays itself out in the realm of the public, where the community comes together to cleanse the things that belongs to its individual members in a sort of textile baptism. 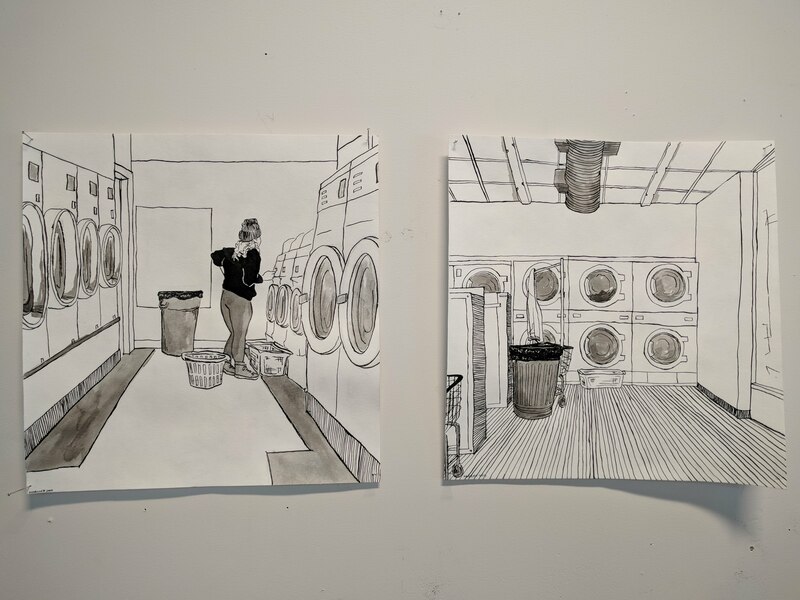 These drawings seek to explore the peaceful, swishing quiet of a laundromat and the ways in which the communal bleeds into the individual. These are the stacks. I love the feeling of being surrounded by books which makes them one of my favorite places on campus. Experimental Drawing has taught me to explore my love for color in abstract gestural ways. These two works combine gestural line and geometric shapes in order to create balance. To me, a sense of organized chaos is what I often find most interesting. I have always been drawn to a strong source of light in my paintings. 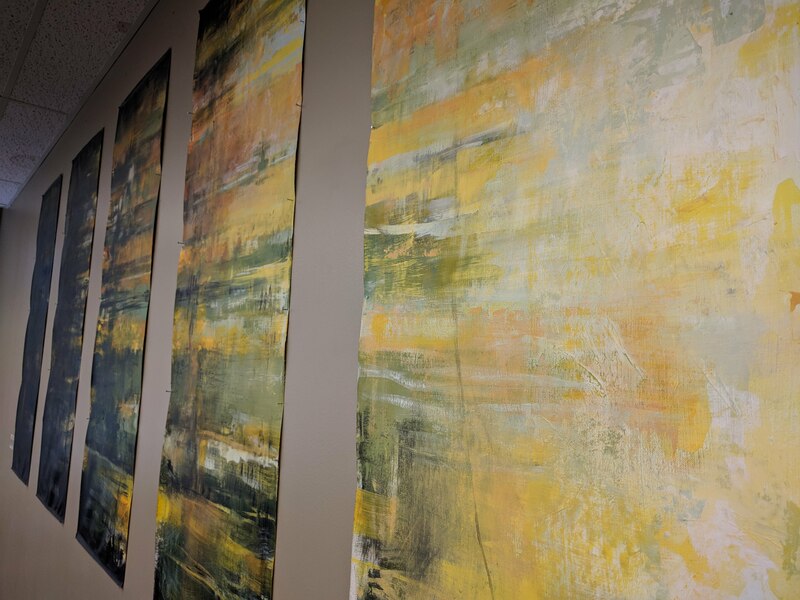 It is my hope that viewers will travel through the piece as light moves through it, a culmination of layers, adding, taking away, breaking up the underlying foundation of color. As you approach the work look for the appearing and disappearing of strokes, the way nature's light is always in transition. Our lived environments often go unnoticed. Whether it's our immediate built habitats or our greater ecological context, we rarely consider our tangible relationships with our material surroundings. Why do we blindly pass through our spaces with little thought as to our connection to them? Why do we commodify our environments, seldom extending ourselves into a relationship even if only by the simple act of dedicated observation? 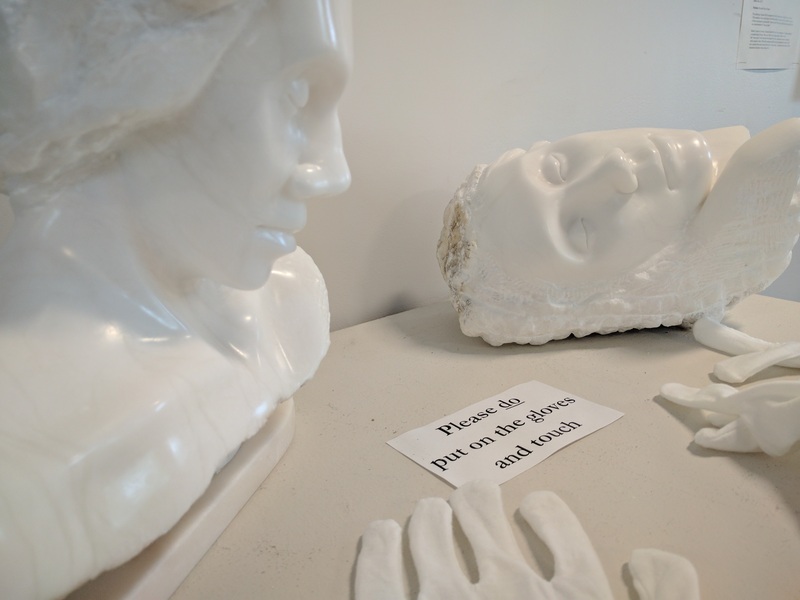 I choose to create site specific installations because sculpture has the unique ability to mediate that experiential relationship. 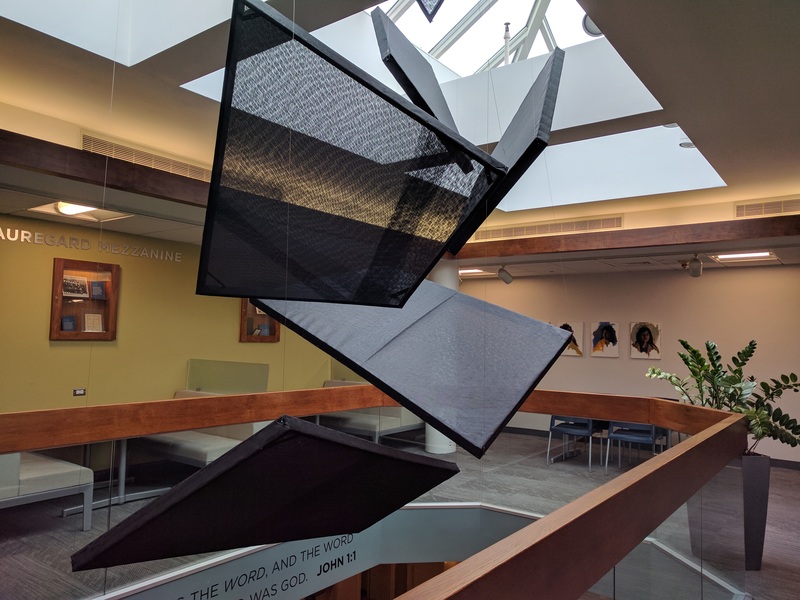 The multi-layered moire effects and the shifting planes bring a new dynamic to the angles and atmosphere of the space, while the lightly-hanging monoliths cause pause, welcoming us into deeper perception of our immediate surroundings. What are your passions and how can they meet a need? At the Center for Entrepreneurial Leadership (CEL), our job is to launch students and their ideas. We asked Gordon students at our annual SlushFest to share what they care about by adding to our tapestry of ideas while eating slushies. Take a look at what your classmates wrote! The mission of CEL is to instigate faithful ventures for lasting impact. 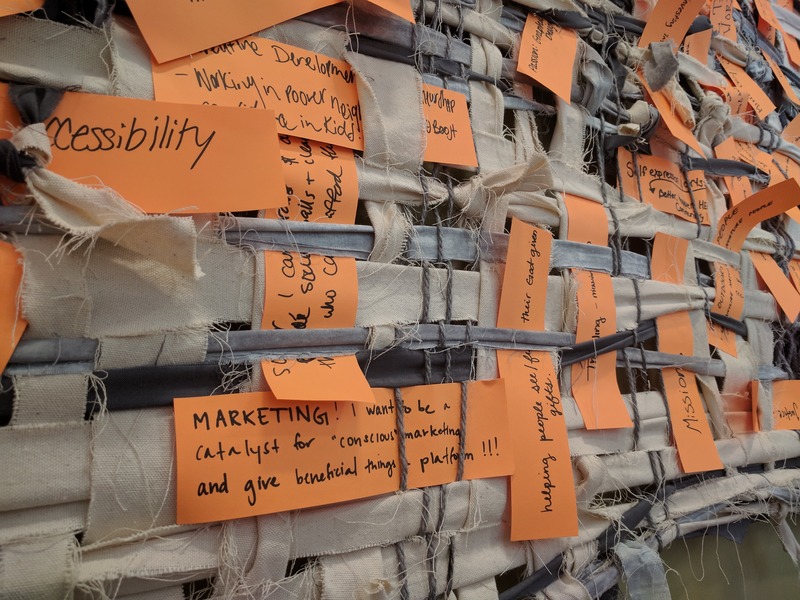 Entrepreneurship is unconventional, cross-disciplinary, and favors grassroots engagement, all qualities that complement and extend the liberal arts. Gordon College seeks to promote entrepreneurial thinking, and a community like ours offers rich soil for nurturing agents of change. Whether you are mildly curious or ready to dive in head first, we invite you to join us in the curricular and co-curricular events we put on that get people talking about what they care about! Gordon celebrates #Inktober! 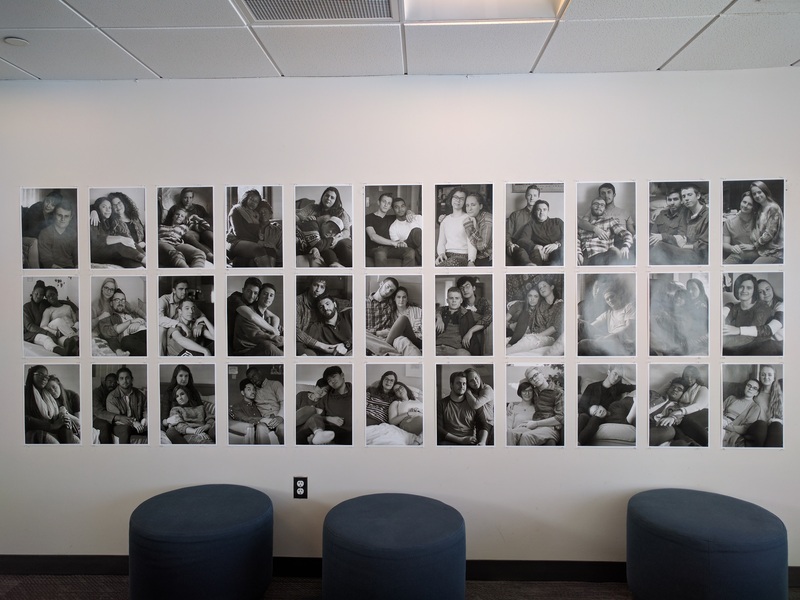 Throughout the month of October many faculty, staff, and students contributed their art work to the day's theme. Thanks to all who participated! 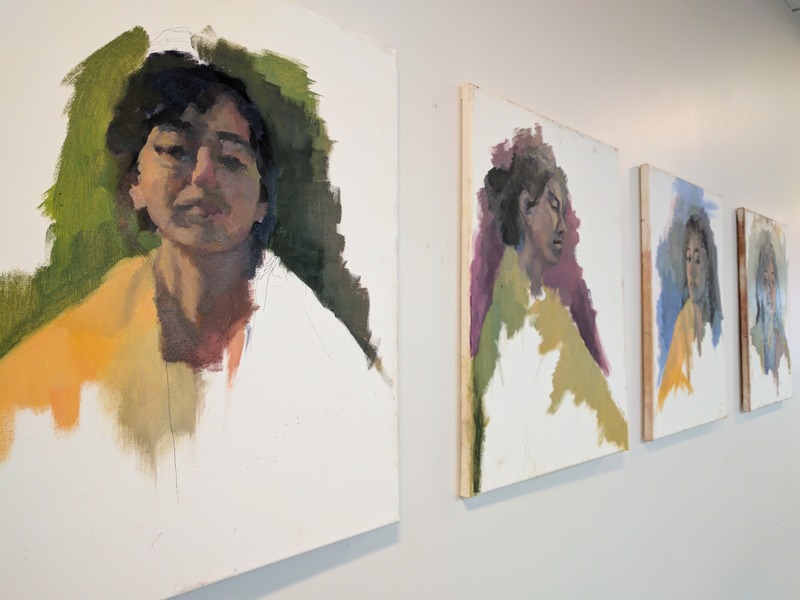 These paintings, all self portraits, are fast impressions of color and light on the only readily available model I had, myself. I chose not to finish the pieces, but instead to focus on putting down quick and decisive marks, studying color and energy as much as mood and likeness. The challenge of this small series was in arranging interesting compositions and different color schemes within the given constraints of canvas size, model, cloth, and palette. People have always captivated me. When I was 10 I was busy coloring humanoid drawings of my stuffed animals. Under my high school art teacher, I learned to divide faces up into cubist shapes, seeing the face not so much as just a pair of eyes, nose, and mouth, but as a patchwork quilt of shapes fitting into each other. 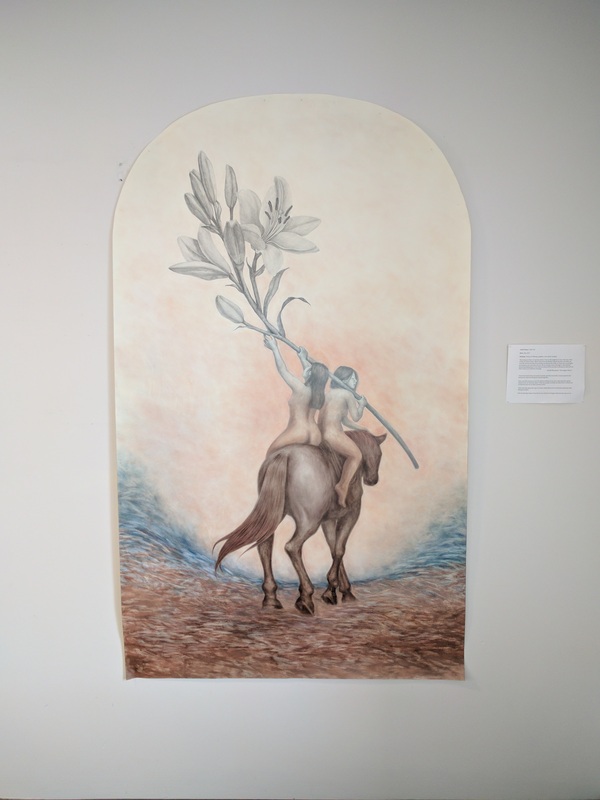 My experiments with the figure to this point have almost always been reduced to a two-dimensional plane in drawing or painting, although for years I have felt this yearning to work three-dimensionally in the round. When I began Stone Carving this semester with professor Zingarelli I hoped I would have the chance to experiment with the figure in sculpture, but I never anticipated how much I would love it. While completing Julia I I spent many late nights in Barrington, feeling more fulfilled in my art than I have in years (despite the sleep deprivation). Each time I worked on the stone was utter joy - discovering the curve of an eyelid, the dimple of the corner of the cheek, the structure of a forehead. The first piece, Julia I, was made without serious study into anatomy or master sculptures - I was striking out into the unknown, and I enjoyed the raw discovery of it all. With the experience I had gained working on Julia I, I approached the second piece, Julia II, more traditionally. 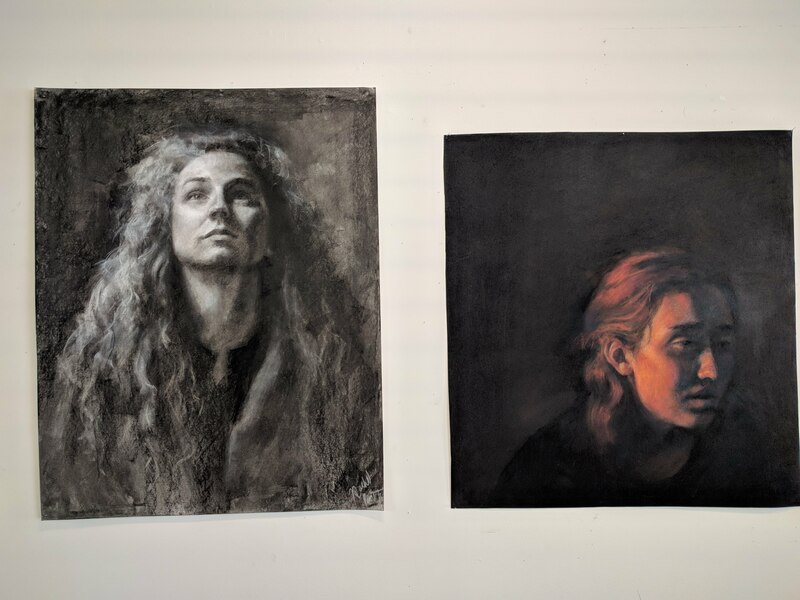 I studied the proportions of my sister's face using reference photos, learned the anatomy of the human skull, frequently drawing the shape of the bones on the stone I worked, and investigated the works of other sculptors for techniques, form, and rhythm of shadow and light. This experience in figural sculpture has both been the culmination of many years of study and longing, and also the initiation of a new chapter in my artistic process. I sincerely hope you enjoy experiencing these pieces as much as I did creating them. This drawing is based off of sculptures by the Djenne people of Mali from the 13th to 15th centuries. On a recent trip to the Metropolitan Museum of Art I was able to see one of these sculptures in person and I found myself identifying with it in an unexpected way - as a representation of "me in class." Before I came to Gordon, I always heard that one of the stereotypes of college students is a constant lack of sleep. 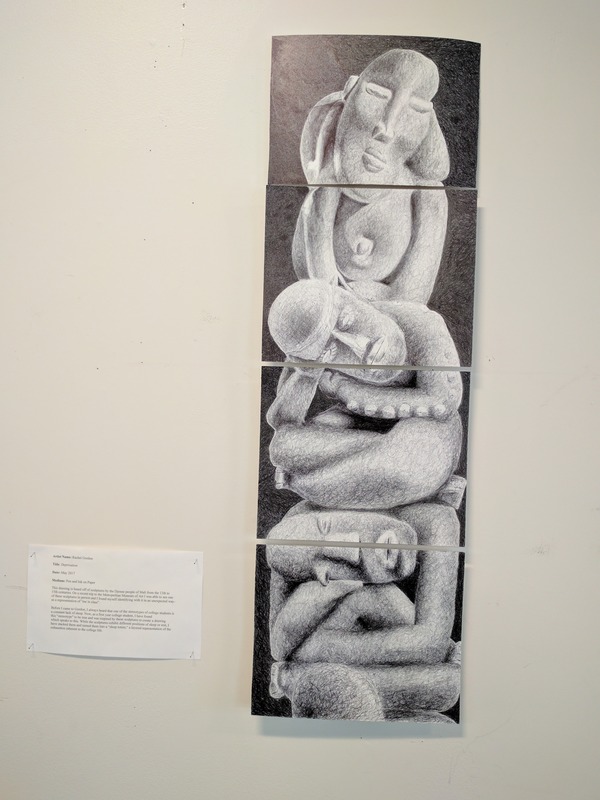 Now, as a first year college student, I have found this "stereotype" to be true and was inspired by these sculptures to create a drawing which speaks to this. While the sculptures exhibit positions of sleep or rest, I have stacked them and turned them into a "sleep totem," a layered representation of the exhaustion inherent to the college life. What I know about the child I sponsor is relatively vague, mainly facts about her family and where she lives in short letters I receive every few months. The business side of automatic withdrawals from my bank account seems to contradict the bizarre intimacy of providing for someone I've never met before. I wanted to reach past the transactional necessities and connect with the person on the other side of this relationship, or at least the idea of her. By working with the only image I have of her, a small photograph, I wanted to explore our lovely bond, peculiar bond, acknowledging the brokenness that necessitates physical provision as well as the hope for her future I pray over. I have lost many beloved people recently and they have left a vacant space in my memories and everything we owned together. How can their presence ever be replaced when we are here separated by a great chasm from our beloved ones? I miss my people terribly, but they have crossed over to eternity and are on their journey home. Take from this piece for I give it freely; think about your loved ones and those who had gone before. Life has already made it his far for you; don't ever forget what journey you are on. I don't like being touched, and I'm wondering if I should change that. In the late 19th-century, male friends in the U.S. commemorated their friendship by going to the town photo studio and paying to get their photo taken together. For them, the way they sat and interacted with each other was utterly unremarkable. Today, however, we see their poses as explicitly romantic. What happened? Why can't men be close to their male and female friends? Friendship in the U.S. has changed. The sexualization of physical touch and the awareness of homosexuality that the 20th century brought forced men apart - from each other and from their female friends. This physical distance, coupled with emotional suppression, leads to loneliness and violence. I take photos to catch glimpses of the mystery and beauty in the everyday. But my photos are also mirrors reflecting my own values, sensitivities, and questions. Questions about gender, race, class - about what I've take for granted. As a product of the turn-of-the-century U.S., I experience platonic physical touch partly as a symbol of sexual tension. And I'm not sure that I want to anymore. So I got together as many of my peers as I could find - real-life friends, all of them - and posed them like the men from the old portraits. In so doing, I hope to not only take some physical intimacy from private romance and give it back to public friendship where it belongs, but also to wrestle with my own potential for physical intimacy. 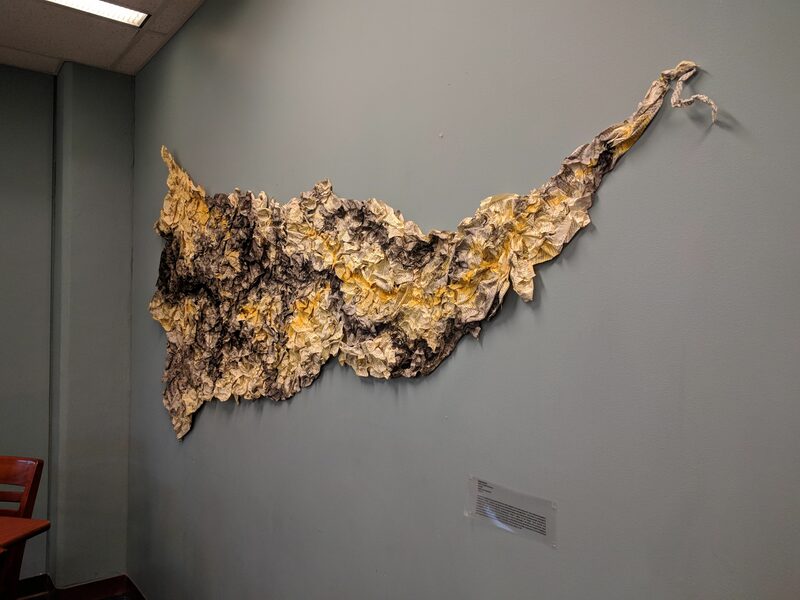 The piece is a continuation of a paradigm of "aperature," exploring the idea of depicting passages through space, liquid, and the inevitable transformation as a result. The main figures of ink in this passing through takes on the character of its marriage with the water and comes out looking far different than its origin. It's a process in which the very nature and chemistry of the media is confronted. My participation in this ends the moment gravity begins, allowing the medium to determine its own form and refraction, resulting in unpredictable theatrics and personality. Empty space makes up everything that we perceive as solid. Mass itself is almost entirely an empty vacuum between the electrons and nucleus of an atom. The things that we believe and experience as substance are, in reality, hollow and vacant. This seeming paradox - form from empty space - only exists because of the tight bond of the smallest units of nature. These individuals join to make what is not there. In this joining, singular parts can take on new characteristics. In the combination of over 280 strands of plastic lacing, Yellow Column creates an ethereal rectangle that captures and reflects the changing light in a way that each solitary strand would not. While the piece is composed mostly of the intervals between each cord, the grid helps compose a structured descending form. Never quite still, the surrounding transparent strands gently sway and refract the interior yellow cords in a reverberating buzz. The piece works in and around the environment it sits in. It distorts its backdrop, passes through floors, and plays in the changing light throughout the day. Over the past year I have tampered with the curiosity of both balance and geometric shapes, creating both possible and impossible structures. Usually, Tangram puzzles come as squares with seven puzzle pieces and instructions on how to form specific things. 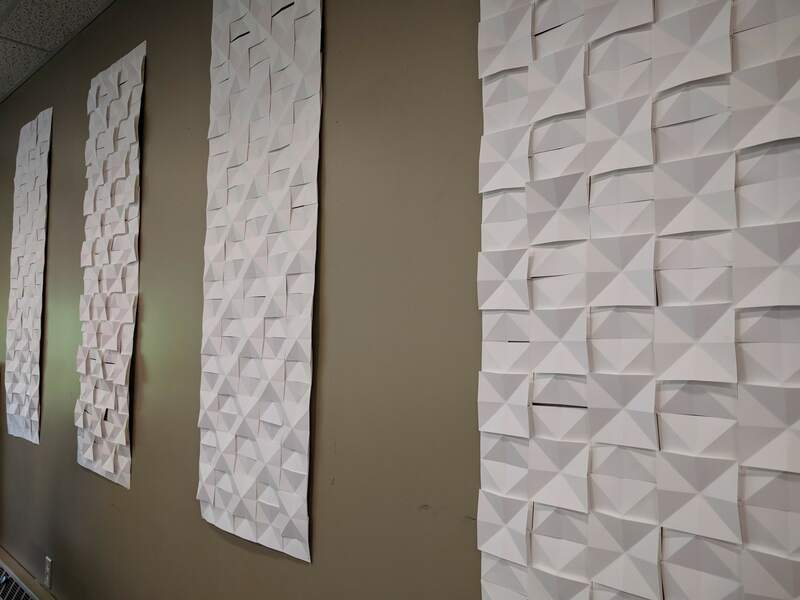 I created this abstract Tangram puzzle to eliminate a bias of what the viewer is being told to see, think, or create, allowing you to think and create for yourself; generating not only visual, but also physical interaction with the viewers. The library is a place that is used by every race, class, and gender. 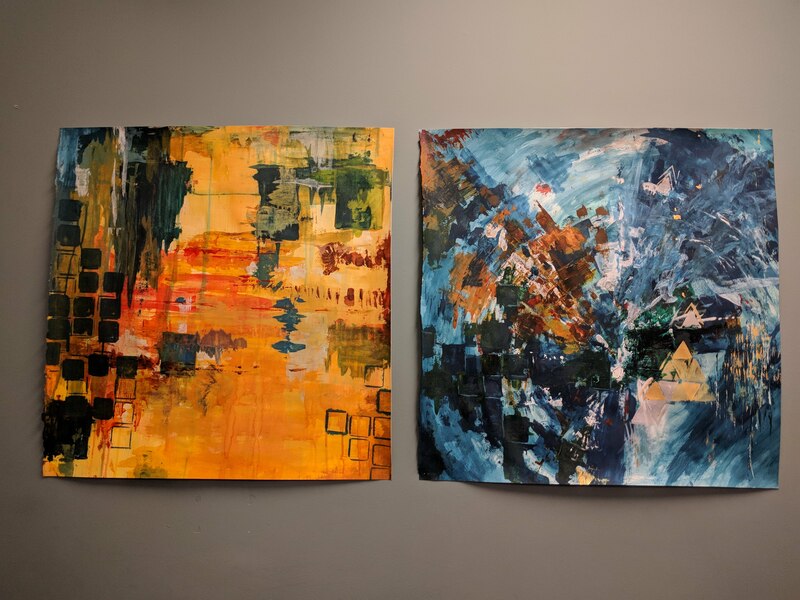 This body of work represents a community of three primary colors as it is refers to a universe of varying colors of knowledge with the texture added into it. Abstract human facial lines in black stripes that are formless depict both gender and all races at the same time. Art is sacred. It allows me to communicate with the world and explore myself in ways that I would otherwise be unable to. I let the creation of this piece become a ritual driven by my creative process. I let my brush land wherever it wanted and let the piece move in whatever direction it began to. An integral part of this work is the process itself and how it is shown within the finished product. Recently, overlapping images and colors have become a large influence in my work. I regularly find myself studying and drawing plant life, sacred imagery, geometric designs, and visual icons. The colors exhibited here are precious to me, I use them frequently and mix them carefully to find my own voice in color. In this piece, I have used images, designs, patterns, and colors that are sacred to me to visually create the environment in which my subconscious often exists.